Happy 12 month’s of MARTHA! I am so glad you are here and I know you will love the tutorial I am sharing and the giveaway I am doing! This month’s box of goodies made me smile from ear to ear. 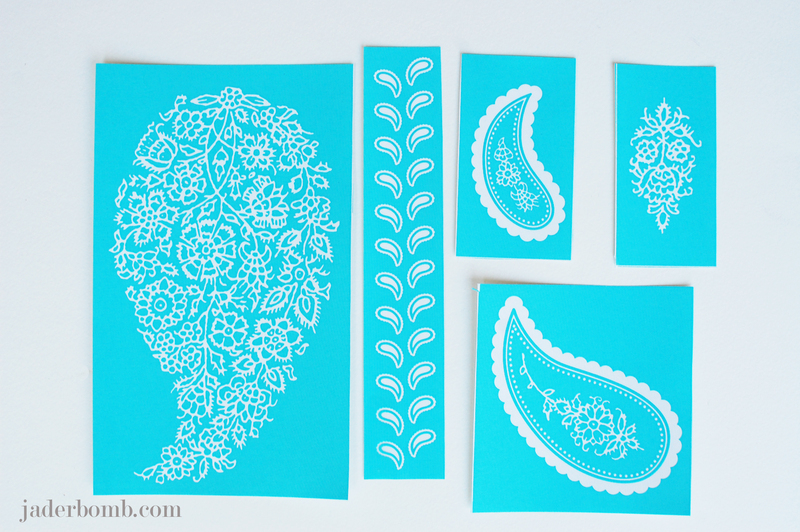 I especially loved the floral paisley adhesive silk screens. Trust me when you use them you will become addicted. I made some fancy apothecary jars using them. Martha always knows what I love. Oh, if you are not familiar with the 12 months of Martha let me tell you about it. I will be sharing a new project each month using Martha Stewart Crafts. 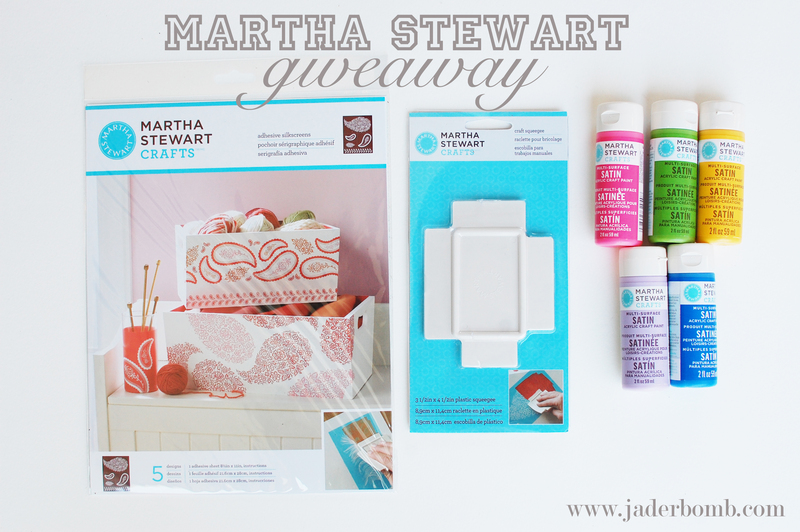 I’ll be giving away Martha swag monthly – so be sure to subscribe to my email updates… —–> LOOK AT THE TOP RIGHT! 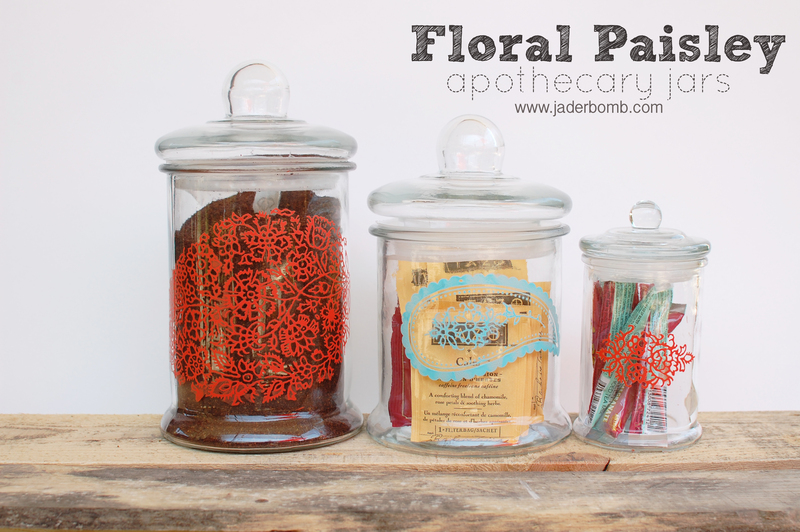 How simple, cute and elegant are these apothecary jars?! Seriously, these would look great in any room. I made them for my kitchen and I filled them with coffee, tea and pomegranate powder for my water. You can purchase all of the above supplies by clicking on the links. Don’t you just love these great colors. Someday’s when I feel down I just go in my studio and look through my tubes of paint. They are filled with happiness I tell ya. For this project I used Geranium and Pool. When you open your pack of silk screens they will look like the picture above, all connected on one sheet. If you notice they have white lines separating each design. You should cut along the line to separate them. This is how they will look once you cut them. 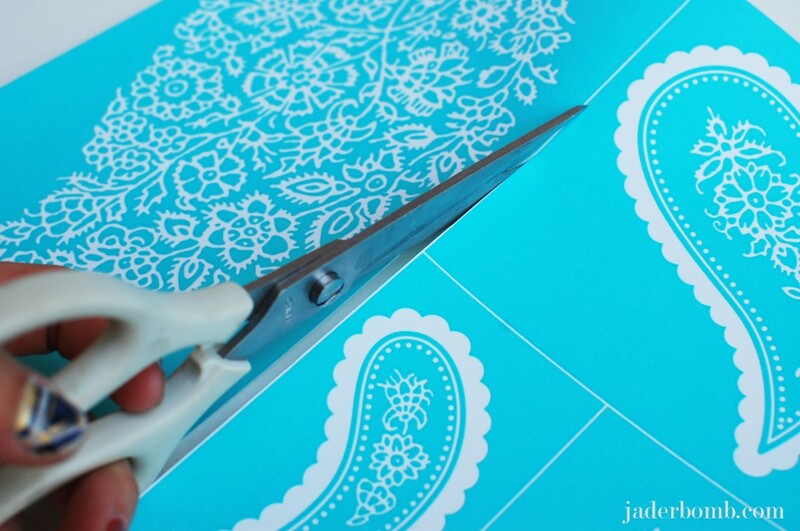 Find the image you want to use and gently peel the silk screen off of the paper. I like to start on a corner. Plus if it get’s crinkled it will not mess up the actual image. Once you remove the silk screen place it where you want on the glass. 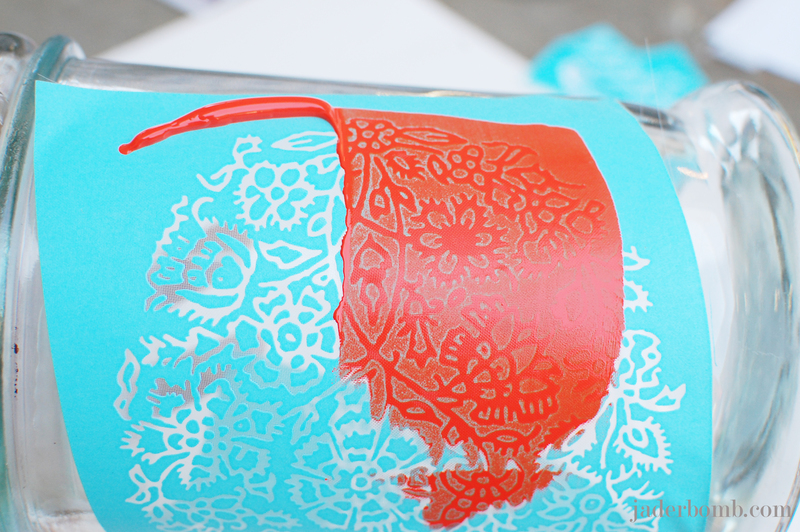 Once you apply your silk screen to the glass add a bead of paint right above the image. Get your squeegee and pull the paint down over the image. I suggest going from the top to the bottom in one stroke. It will make the paint consistent and even. Repeat the step if you have to do it in two layers. 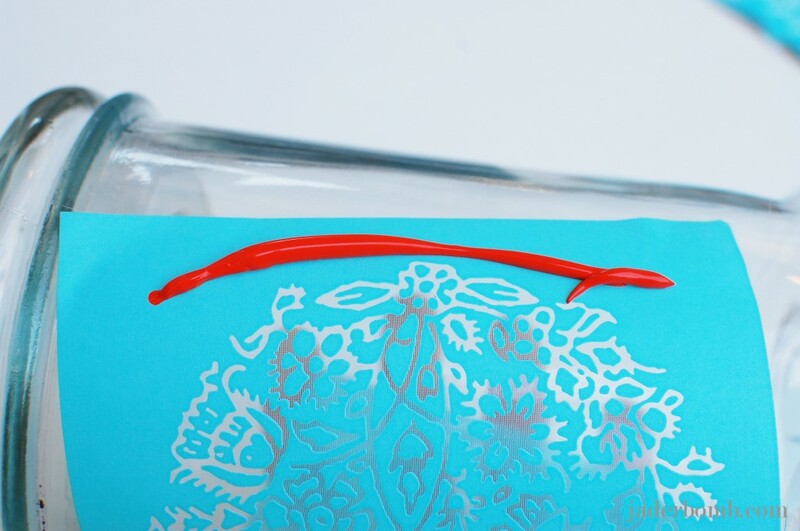 As soon as you finish, peel the silk screen off of the glass. Very important that you wash it immediately. If you let the paint dry on the silk screen it will not work properly again. Once you wash it lay it out on a towel to dry. Move on to your next jar. It’s really that simple. I hope you enjoyed this tutorial! I have some great news… I am doing a GIVEAWAY featuring the supplies I used today… HOW AMAZING. Please enter by putting your information in the Rafflecopter box below. I am excited to see who will win all of these products. Don’t forget to share this fun giveaway with your friends. THIS GIVEAWAY WILL END APRIL 12, 2013. 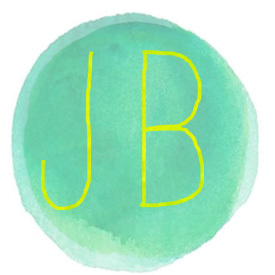 Want JADERBOMB delivered right to your inbox? Just enter your e-mail in the box below! Love these. I’ve been dying to try this whole line of products. Love me some Martha! Her products are the BEST! 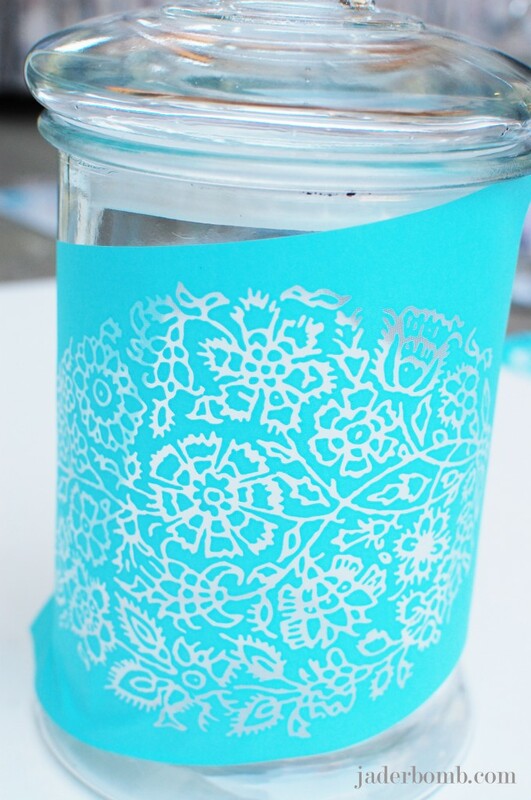 I would love to decorate some jars just like these with the Paisley silk screen! I’ve been needing some creative, cute storage lately! Kelley: The more storage the better! Oooh! Pot’s sound AWESOME! I will have to do some! Meg! 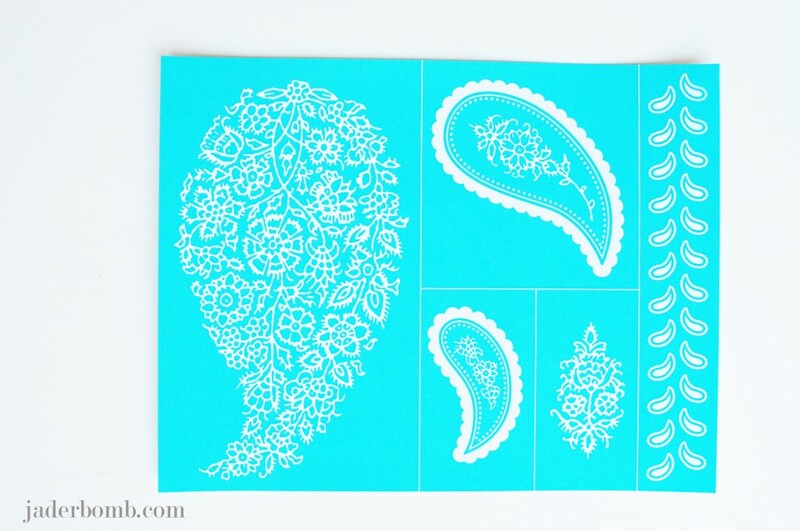 These would be great to decorate your home with girl! GOOD LUCK!!! As my girls would say – amaze balls! (and they cringe when I say it)!! I would love to make these fancy apothecary jars for my pantry! I have plain jars full of things I can’t remember what they are! These would also make my kitchen look so awesome! LOVE your jars, lady! 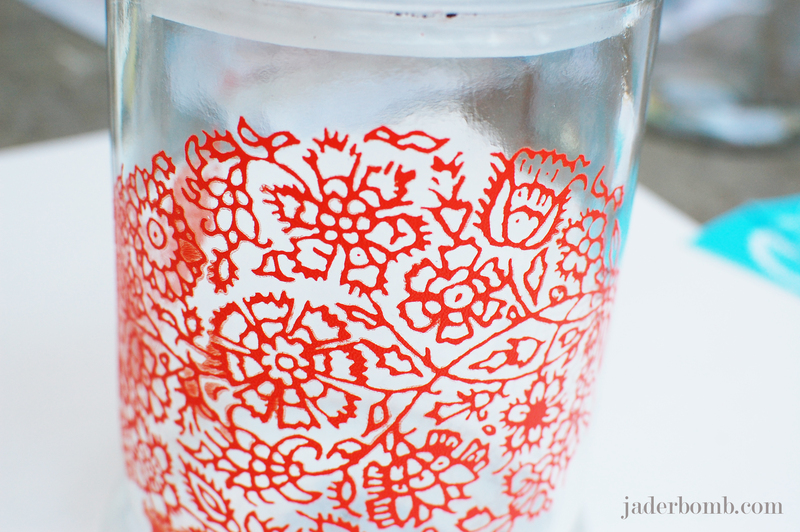 <3 I would LOOOVE to decorate some fun wine glasses with those stencils! Thank you for the chance! I’ve made some jars and love them but this would make them rock even more. I would make something for my sister! Maybe those jars? They are beautiful! 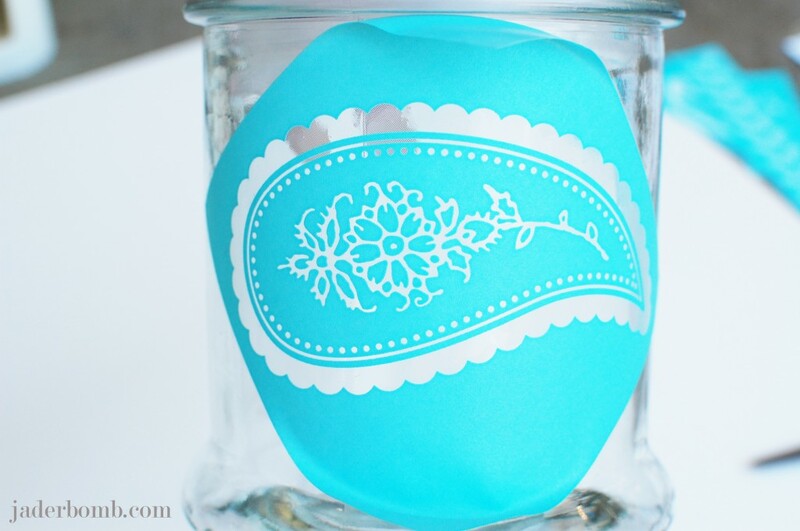 i would like to make the decorations on jars like the blog post shows! Lisa! I think a box would be great! Glad you entered! I love these. 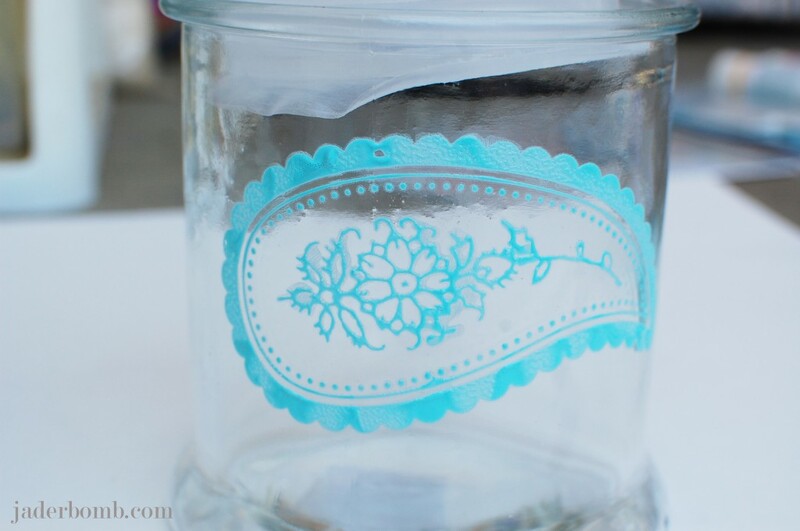 I would make mason jars too! I like what you did – I want some glass jars too! Thanks! They are so much fun to make! I love using her stencils and paints on fabric! 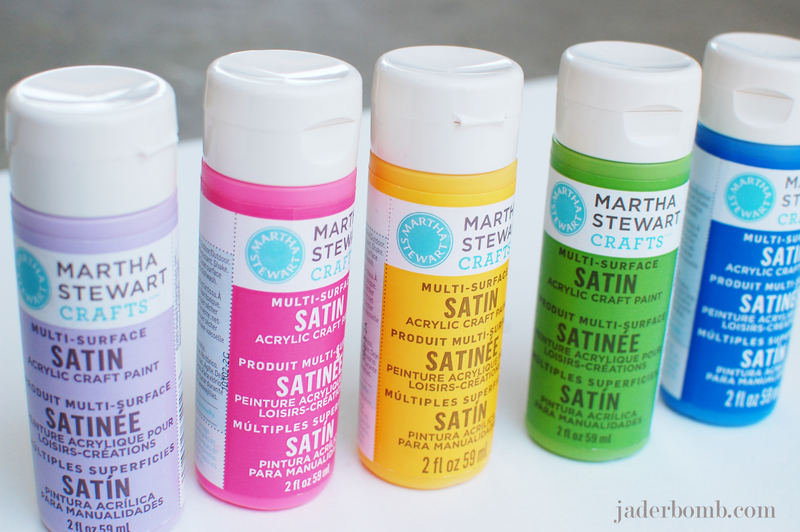 I’d love to get some fabric paint and make some of my own fabric for messenger bags! I would LOVE to see messenger bags! I might have to try doing something on a mirror/ I think that would be fun. Tanya, I would love to see something on a mirror! Link up to me when you do it! I have a bunch of square vases left over from catering events that are just plain boring. I would love to stencil them. 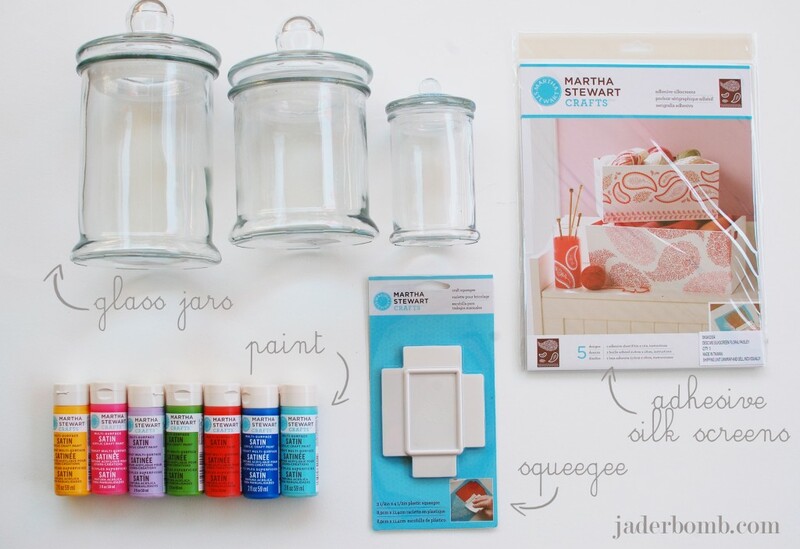 I would love to decorate some glass jars I have. Glass jars are the best! I will probably use them on glass jars like you did. So cute. I would love to make some drinking glasses to use for informal vases. Great giveaway! So excited I found your site through Stumble Upon with your cutting glass DIY. <3 Thank you!